Hi! I'm Mack! 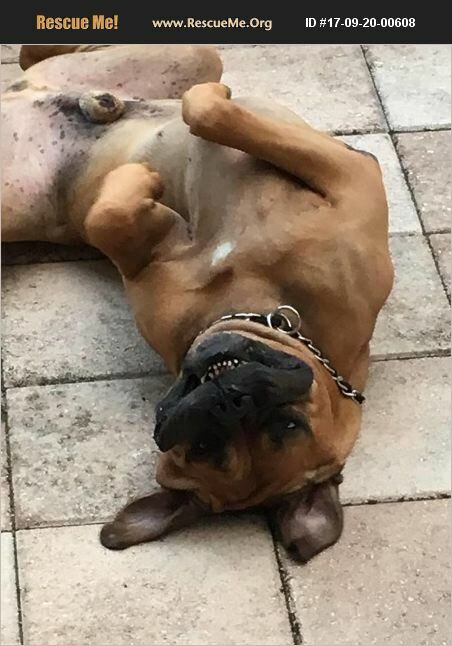 I'm a Bullmastiff foster living in South Florida, rescued from a backyard breeder who sold me to a family that left me on a chain in the yard - after a few years of that, one of their family felt bad and took me inside, but they left me for hours and hours and finally felt I needed more attention. So, the American Bullmastiff Association took me in, and are caring for me through various volunteers until I can one day find my furever home... I'd love to be a spoiled rotten single pet that was around my owners most of the day - a home experienced with large guard breeds, please. I am about 5-6 years old and prefer to be the only dog. I've learned to live peacefully with two cats, just go slow when introducing me. . Mack's adoption fee is $400. He is neutered, heartworm negative, current on vaccinations and microchipped. Mack is also crate trained. If you are interested in adopting Mack, please complete the online adoption application at www.bullmastiff.us/rescue. We'll be in touch promptly!